AFTERMOVIE A DAY AT THE BEACH ONLINE!! 2010 was unforgetable, so everybody still has that one in mind. The aftermovie of ‘A DAY AT THE POOL’ created a hibernate feeling among the visitors who were there and among those who missed it! Just because Ibiza is a FEELING!! 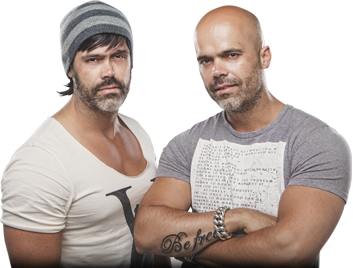 And with that feeling in mind, on Monday the 25th of July 2011, it was ‘Luxury Events’ and ‘Brothers in the Booth’ again who created a ‘never to be forgotten’ moment in time during this HOT IBIZA SUMMER! ‘A DAY AT THE BEACH’ @ La Plage de L’Elephant was a few levels up in relation to 2010 and with an utmost satisfied feeling we can say, it was a MASSIVE ONE! And as something predicts to become massive, it’s always ‘AJG Filmproductions’ who’s there to cover all moving images for the digital history book. SO HERE IT IS!! Almost 8 minutes of everything Ibiza was ALL ABOUT last summer and with the Brothers, from the same mother, in the Booth ROCK THIS SUMMER OFF!!! Special thanks to the crowd, artists and the location of course. And a big shout out to David Moreno for giving us unique airtime on his fantastic radio-station ‘IBIZA GLOBAL RADIO’….WE WILL BE BACK IN THE SUMMER OF 2012….BETTER THAN BEST!! One Love! A DAY at the BEACH 2011 from AJG FILMPRODUCTIONS on Vimeo. 02-05-2013 WE’RE NEVER GONNA GIVE THIS LEGENDARY NIGHT AWAY! 16-04-2013 LET'S ROLL INTO 2013: PART III IS NOW ONLINE! 24-01-2012 TIGERRIDE: THE FULL TRACK & COMPLETE VIDEO IS ONLINE! 24-10-2011 VIDEO-FOOTAGE OF OUR 'GUETTA WARM UP' ONLINE! 03-10-2011 AFTERMOVIE A DAY AT THE BEACH ONLINE!! #Bitbgigs - We Are There!